To claim this profile, please confirm you are Trinity Reynolds. To follow this profile, please let us know your relationship to Trinity Reynolds. Trinity's basketball stats have been updated for the loss @ Tucson High Magnet School. RESULTLoss Girls varsity basketball @ THMS. 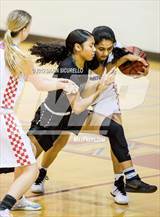 The Skyline varsity basketball team lost Thursday's away non-conference game against Tucson High Magnet School (Tucson, AZ) by a score of 65-43. Trinity's basketball stats have been updated for the loss vs. Westwood. The Skyline varsity basketball team lost Tuesday's home conference game against Westwood (Mesa, AZ) by a score of 62-54. Trinity's basketball stats have been updated for the win @ Kofa. RESULTWin Girls varsity basketball @ Kofa. The Skyline varsity basketball team won Friday's away non-conference game against Kofa (Yuma, AZ) by a score of 50-34. Trinity's basketball stats have been updated for the loss vs. Red Mountain. 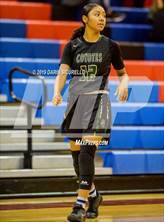 The Skyline varsity basketball team lost Tuesday's home conference game against Red Mountain (Mesa, AZ) by a score of 59-22. Trinity's basketball stats have been updated for the loss vs. Mountain View. The Skyline varsity basketball team lost Friday's home conference game against Mountain View (Mesa, AZ) by a score of 55-51. Trinity's basketball stats have been updated for the win @ Mesa. 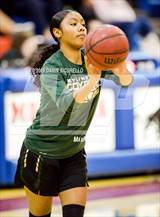 RESULTWin Girls varsity basketball @ Mesa. 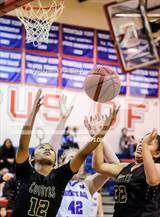 The Skyline varsity basketball team won Tuesday's away conference game against Mesa (AZ) by a score of 66-39. Trinity's basketball stats have been updated for the loss @ Westwood. 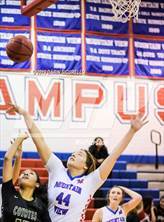 The Skyline varsity basketball team lost Friday's away conference game against Westwood (Mesa, AZ) by a score of 64-47. Trinity's basketball stats have been updated for the loss @ Red Mountain. The Skyline varsity basketball team lost Tuesday's away conference game against Red Mountain (Mesa, AZ) by a score of 65-49. Trinity had 21 photos tagged from the game against Mountain View. Trinity's basketball stats have been updated for the loss @ Mountain View. The Skyline varsity basketball team lost Friday's away conference game against Mountain View (Mesa, AZ) by a score of 70-42.